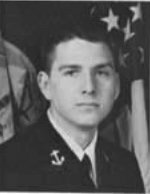 Lieutenant Commander Michael Dallas Chalfant, Jr., 36, died Tuesday night, September 10th, 2002 in a military plane accident while serving his country. Totally devoted, loving husband, father, and son, he served honorably in the United States Navy for 14 ¸ years. Lieutenant Commander Chalfant was born in Sumter, SC and graduated from The Landon School in Washington, DC. He is a 1988 graduate of Tulane University where he received his Bachelor of Science degree in business. While attending Tulane, he was a member of the Navy ROTC and precision parade drill team. Michael received his wings as a Naval Flight Officer in February 1990 and was subsequently assigned to Air Anti-submarine Squadron Three Zero (VS-30) flying the Lockheed S-3B Viking. Following a tour of duty aboard USS Saratoga, Mike attended the Naval Post Graduate School in Monterey, California where he earned a Masters in Information Technology Management. After Postgraduate school, Mike rejoined VS-30. In December 1998, he was assigned to the U.S. Air Force Academy in Colorado Springs where he taught military tactics. He returned to Jacksonville in 2000, joining Sea Control Squadron 22 (VS-22) where he served as the Operations Officer. His personal awards include the Meritorious Service Medal, the Navy and Marine Corps Achievement Medal (with two Gold Stars). He also co-authored a textbook on Military Tactics. He is survived by his wife, Reames Frances (Francie) Chalfant, children Robert Harris and Abigail Frances of Jacksonville; his mother Marguerite Alderman Thomas and step-father, The Reverend Timothy B. Thomas of Deerfield Beach, FL; his father, Michael Dallas Chalfant and step-mother Jackie Eadon Chalfant of Columbia, South Carolina; his mother-in-law, Narda Frances Krumrine and sister-in- law, Kristi Krumrine, also of Jacksonville. His uncle and aunt, Mr. and Mrs. Albert Strong Alderman, Jr.; cousins Christopher and David Alderman, all of Sumter South Carolina; Maternal grandparents are the late Dr. and Mrs. Albert Strong Alderman of Sumter, South Carolina and fraternal grandparents are Jean Viden Chalfant of Columbia, South Carolina and the late Harry Bailey Chalfant. Where the past meets the present and beyond. Tulane Naval ROTC Alumni Assoication, Inc.